With PMT’s ultra fast Internet we will provide you with a lightning fast connection not limited by caps or other restrictions. With speeds of up to 10 Gbps our service is the fastest in Burley and the surrounding area. Not only that, but our tehnical support is available 24/7 to provide instant answers for all your questions. Whether you live in the Burley City Limits or outside of town, you can use the many benefits of PMT’s internet service to surf and stream while relaxing at home. Not only that, but our business connection can help your company operate and grow more effectively. 1. High availability network for efficient data usage. 2. Access speeds of up to 10 Gbps to give you with maximum speed and enjoyment. 3. Pay only for the package that suits you, so you can select the best solution for your private and business needs. 4. A professional and friendly technical support always on hand to solve any issues. Our support team consists of experienced technicians with expertise in troubleshooting, network maintenance, configuration and any other problems that may occur. Our team is working constantly to monitor for potential issues before they arise so that we can address them before they have a chance to impact your home or business networks. We can also provide options for creating private networks between local offices or across state lines. Whatever your business or personal needs are, choosing PMT’s internet service will give you a fast reliable connection tailored to your requirements. For additional information contact our experts so that they can outline the best solutions for your business and personal requirements. 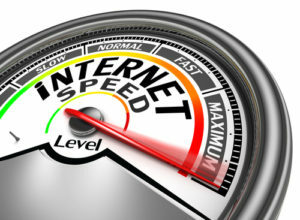 To start using the fastest internet service in Burley, contact us at (800) 322-4074 or email sales@pmt.coop.